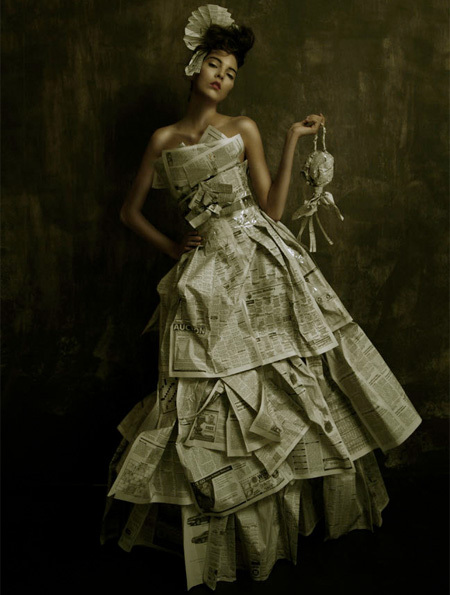 Collection of unusual, innovative, and creative dresses made by the world’s most talented fashion designers. 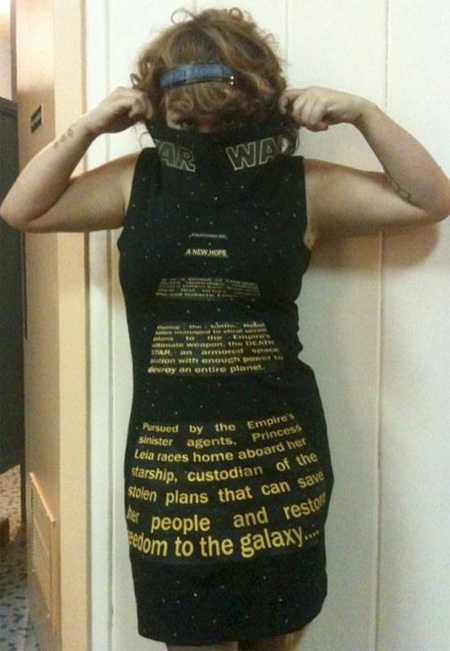 Unique dress created by a Star Wars fan from Vancouver, Canada. Dress made of matches by 18-year-old student named Lily Faget. 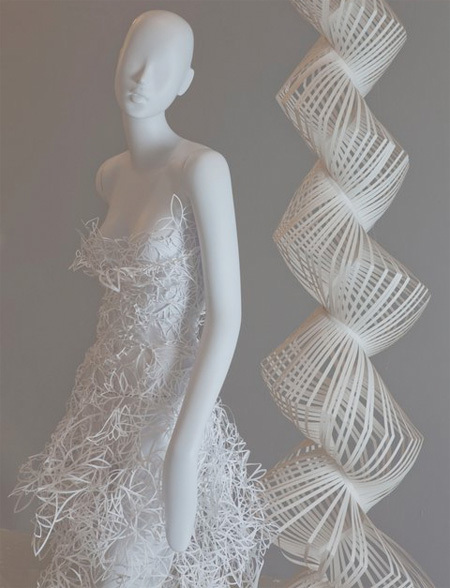 Stylish dress created out of paper by fashion design students. 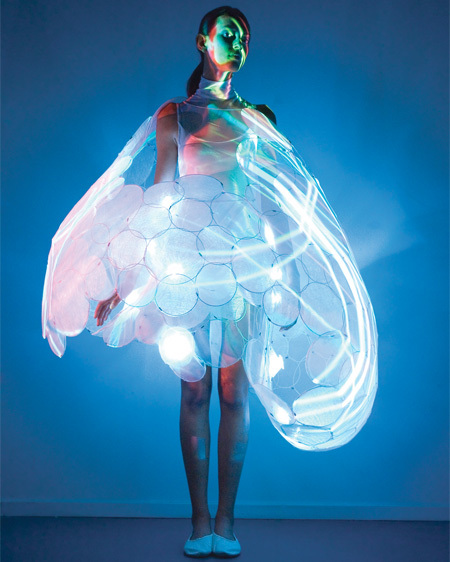 SKIN dress concept from Philips uses sensors to determine your feelings and then shows them with LED lights. 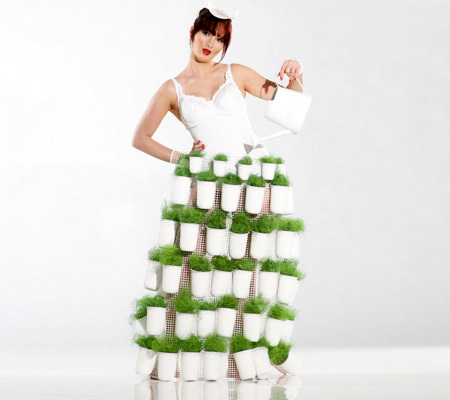 Italian designer Linda Schailon created a dress out of plant pots. Cool dress created out of 14,235 rubber bands of various colors. 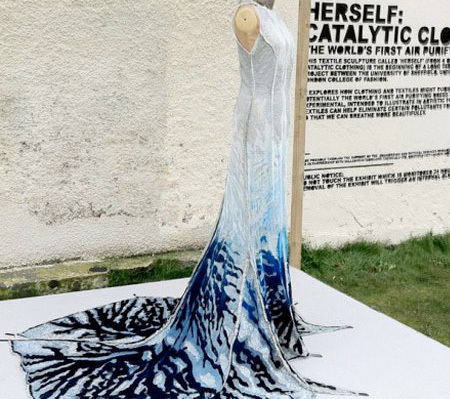 Prototype of the world’s first air purifying dress created from pollution absorbing flexible concrete that was sprayed on the fabric. 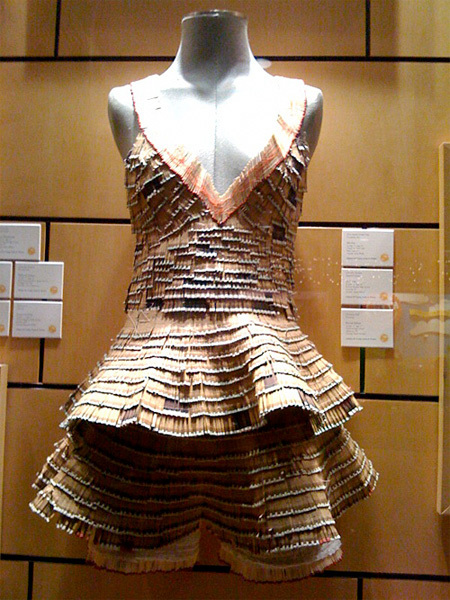 Dress created out of hundreds of clothespins by Sandra Backlund. Unique dress created by Amy M. Phillips and Fairlight Hubbard. Amazing edible dress created by German bakery group Lambertz. Innovative dress made out of fluid tubing powered by a pump. The fluid dress video is amazingly beautiful. Leaf and newapaper are amazing! Fluid dress is cool but how are you supposed to wear that in an event? I mean how can it work without all those equipment. I think it is hard to walk or party with those things. It should have a built in machine on the dress. well obviously most of these dresses should not be worn. especially not the matches dress. and I’m sorry but a trinintrotoluene dress would blow that one away. Just dynamite. Did anybody else notice that the maker of the matchstick dress’s last name is Faget? I cracked up, thats hilariously unfortunate! Is that Jessie Spano modeling the leaf dress?!? LED dress.. ok? i think i like it. rubberband dress, tacky but awesome! I guess there is no chance of smoking when you are in the Match Stick Dress huh? 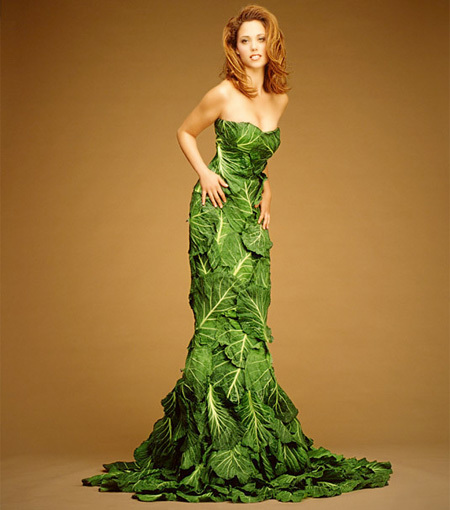 The leaf dress looks photo-shopped to me. It’s from a PETA ad, btw. for some reason the fluid dress video made me cry especially with the music, and the chocalote dress makes want to eat it!!!!!!!!! I Like The Fluid Dress Bacause This Drees is Beautiful And I can Go the Night Parties and Light About all peoples in The Party.